Product #22147 | SKU 16443072 | 0.0 (no ratings yet) Thanks for your rating! Comprised of 17 elements in 12 groups, the optical design incorporates three extra-low dispersion (ED) elements to control chromatic aberrations and three aspherical elements to reduce spherical aberrations and distortion throughout the zoom range. Additionally, a Nano-GI and HT-EBC coating has been applied to lens elements to alter the refractive index between elements, minimise surface reflections, and prevent lens flare and ghosting. And, in combination with select X-series cameras, Lens Modulation Optimiser technology corrects for diffraction, even at small apertures, for heightened edge-to-edge sharpness. The lens barrel incorporates 14 distinct weather seals to render it both moisture and dust resistant for confident use in inclement conditions. 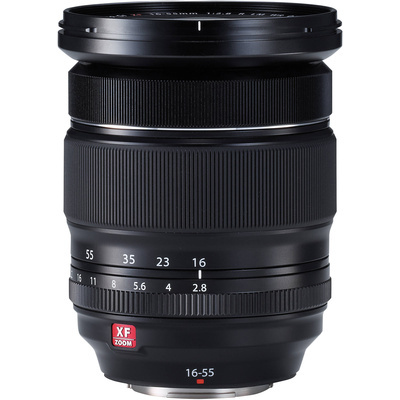 Its minimum focus distance is 30cm, and its 9-blade circular diaphragm renders pleasing out-of-focus highlights. The 17-element-in-12-group design includes three extra-low dispersion elements and three aspherical elements to minimise chromatic and spherical aberrations throughout the zoom range.